The Elymi (or Elymians) were part of that generalised group of Italics, but specifically they themselves were of indeterminate origin. During the majority of the Iron Age they were located on western Sicily, and were neighboured by the Sicani to the east and by the Phoenician settlements of Carthage surrounding them along the coast. 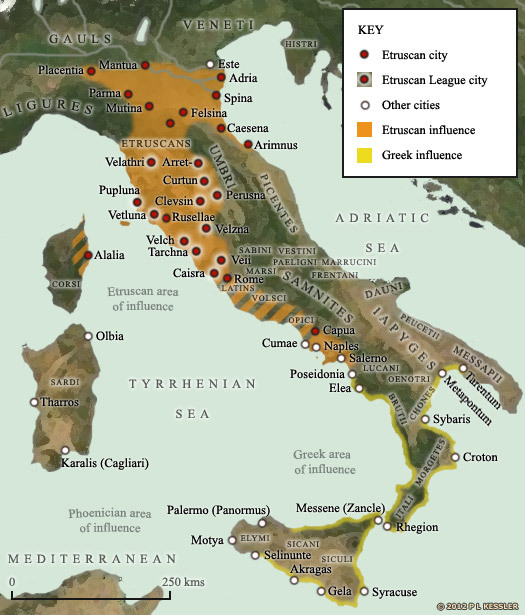 A large number of peoples steadily migrated into Italy between the twelfth and tenth centuries, such as the Iapyges from the Balkans and the remaining Italics generally from the north, and the Elymi themselves probably arrived during this period. One recent claim describes them as Anatolians, based on archaeological evidence. This could mean that they were Indo-European refugees from the fallen western Anatolian kingdom of Arzawa (the territory of which became largely depopulated during the twelfth century BC), or perhaps a branch of the Sea Peoples who caused so much of the destruction of the same period in the eastern Mediterranean - the Tyrsennoi for instance. Greek authors claimed that they were refugees from Troy, which would make them distant Indo-European cousins of the Latins. Once in Italy, the Elymi originally occupied territory on the mainland, in the modern regions of Basilicata and Calabria. Later writers have them being pushed out of northern Calabria, perhaps in the tenth century BC. From there they migrated southwards, eventually entering Sicily where they could be found in the sixth century BC. Son of Teleon. King of the Elymians. According to Greek tradition, Butes serves as a member of the crew of the Argonaut, under Jason of Iolkos. Jason himself is roughly datable as he is from one generation before that of the participants of the Trojan War. He makes the heroic voyage to Kolkis to secure the Golden Fleece, rescuing Phineas of Thrace before he gets there. Butes is the only member of the crew not to be able to resist the song of the sirens, leaping from the ship to swim to them. Aphrodite saves him by transferring him to Lilybaeum on Sicily, which is the story that supplies the Elymi with their migration event from Greece. Son. Founder & king of one of the three principle towns. According to Thucydides, the arrival of the more warlike Oenotri and Opici in northern Calabria triggers the migration of the Elymi, Itali, and Siculi into the 'toe' of Italy and onto Sicily. Antiochus of Syracuse, writing around 420 BC, confirms this, although archaeology suggests that elements of the Elymi have already settled there from perhaps 1100 BC. Once on the island, Thucydides has them intermarrying with the native Sicani. In terms of archaeology of the early Iron Age (as far as about 500 BC), the Elymi and Siculi are indistinguishable, although it is generally accepted that the Elymi largely displace the Sicani in the north-west of the island. The Greek colonies along Sicily's coastline have an influence on the Elymi. Many elements of Greek culture have been and continue to be absorbed, including the Greek alphabet. The Elymi write their own language using this, and to date it remains undeciphered. 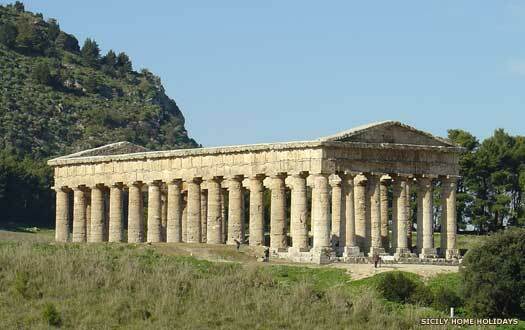 They also erect temples, including a notable example at their capital, Segesta (in the modern province of Trapani). The two other major Elymi towns are Entella (possible a town of the Sicani), on the left bank of the Hypsas (the modern Belice), and Eryx (modern Erice). Segesta first comes into conflict with the Greek colony of Selinus (modern Selinunte). The Greeks are attempting to establish their colony as a major port, but Segesta dominates in that respect. The recent termination of the tyranny of Gelon I and his brothers in Syracuse has left problems in its wake on Sicily. In 460 BC, war breaks out between Syracuse and its former colony at Catana. Ducetius, a prominent Hellenised Sicel, backs Syracuse in revenge for the former occupation of Sicani land by Catana, and the latter colony is defeated. Ducetius goes on to found several Sicani colonies, defeats Syracuse in battle, and forms a short-lived Sicani empire on central Sicily. The Greek colony of Selinus again comes into conflict with Segesta, presumably for the same reasons as before. Despite this feud, which is probably caused solely by the need to secure trading rights for the region, the Elymi seem to be happy to welcome the colonists, whether Greek or Carthaginian. Open conflict between them is rare. Increased trade is apparently much more of an incentive, and Elymo-Greek culture replaces the earlier Elymi culture. Segesta builds an imposing temple, one which is fully Greek in style and form, showing that despite the differences between the Elymi and the Greeks of Selinus, Greek culture has heavily influenced the Elymi. As part of the overall Peloponnesian War, Segesta requests help from Athens in its ongoing conflict with Selinus. The Athenian expedition to Sicily is misconceived from the start, and subject to political interference. Athens' failure to take the Corinthian colony of Syracuse and the subsequent loss of thousands of troops almost brings the city and its empire to its knees. Segesta subsequently asks the Carthaginians for help and, following the complete destruction of Selinus in 409 BC, the Elymi remain Carthaginian allies. The city of Segesta is destroyed by Agathocles of Syracuse, self-proclaimed 'king of Sicily'. The city later recovers, but the Elymi have swiftly become Hellenicised, obliterating their Italic past so that their origins remain more obscure than almost any other Italic group. Segesta is allied to Pyrrhus of Epirus when he invades Sicily and conquers Syracuse in 276 BC. Subsequently, during the First Punic War, the city surrenders to Rome, in 260 BC. Despite its long allegiance to Carthage, the city is not punished by Rome as the two have a traditional shared heritage in that both had traditionally been founded by Trojan refugees. 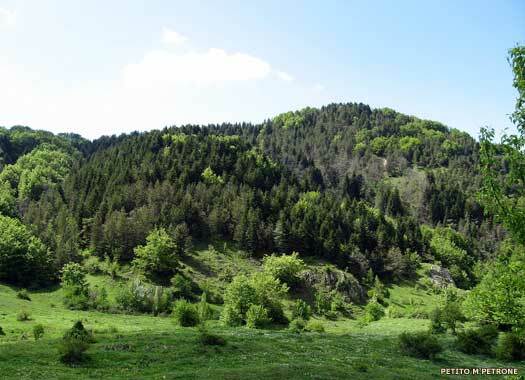 In the same year, Eryx is destroyed by Hamilcar and its citizens moved to a new site at Drepanum. Something of the old, well-defended city survives and is captured by Rome a few years later. Drepanum is abandoned by Carthage at the end of the war, in 241 BC. It is possible that Eryx is never restored, although its temple survives for quite some time. The Marsi fight the Social War against Rome in which Rome's allies strive for, and are eventually granted, citizenship. The Frentani, Latins and Umbri are also granted citizenship, although they play a smaller role in the war, with the Umbri joining the rebels late and agreeing terms with Rome early on. Thereafter, the Elymi are gradually absorbed within Roman Italy and lose their individual identity. The city of Segesta gradually declines after its port is developed into a city in its own right, known as Castellammare del Golfo. Segesta itself is destroyed by the Vandals. Briefly reoccupied by Muslims in the twelfth century, it is finally abandoned in the early thirteenth. Its ruins survive today.